African. 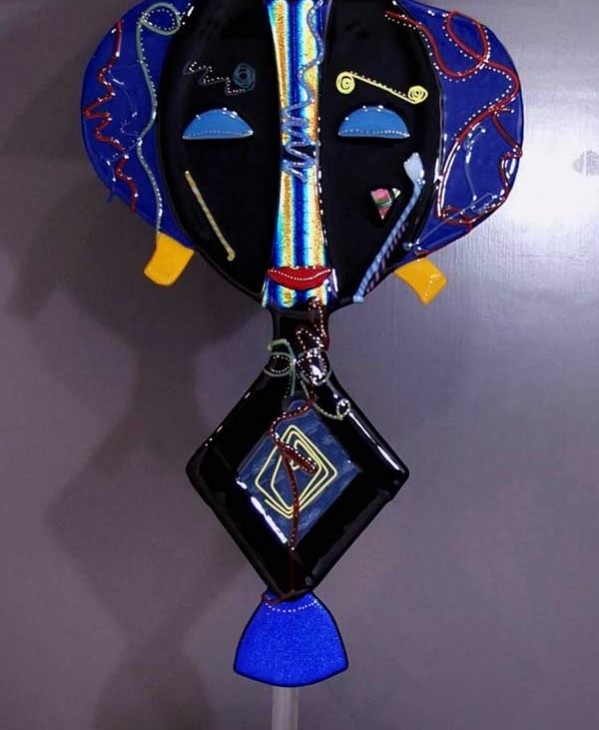 - This Guardian figure Kota mask is from the Gabon region. Guardian figures such as this were attached to baskets containing important relics of important ancestors. 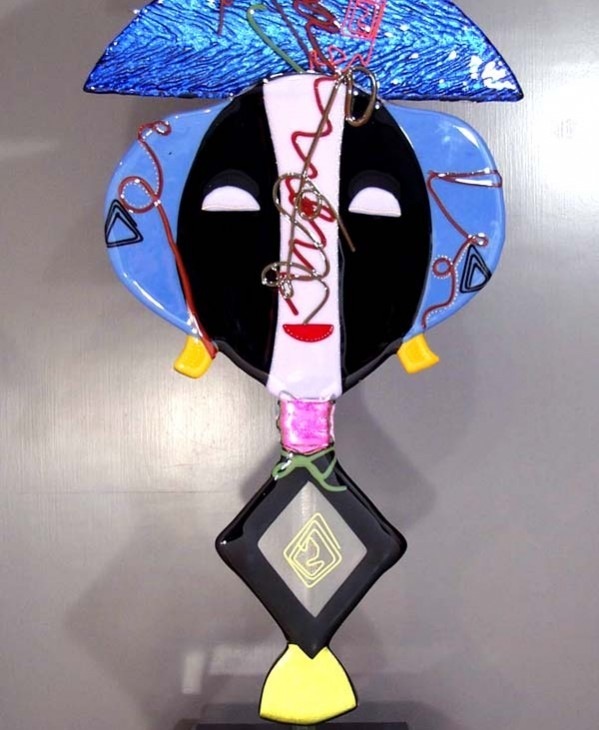 The highly abstract nature of the design of the Kota figures made them one of the first kinds of African sculpture to attract the attention of European artists, and these figures continue to attract the attention of students and collectors of African art because of imagination and style displayed. 14x36 on 10x10 Plexiglas base.